If Hieronymus Bosch: Touched By the Devil were a painting by the titular artist it would likely depict a level of Hell with five men attempting to traverse an endless sea of eggshells without breaking any. The five men would represent the central antagonists of this engrossing documentary that delves as deep into the wrangling of museum curators and art historians as it does the artist in question. This group of Dutch technicians and theorists are not only on a mission to examine the extant works, but to cajole loans for the quincentennial events of the artist’s passing, for his hometown. 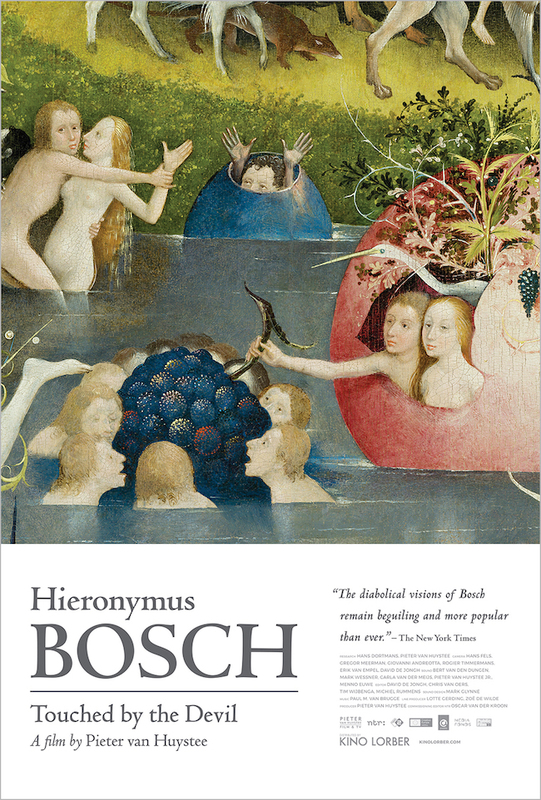 As it turns out Den Bosch has no Bosch’s of their own. The rub? Well… intimating to a museum like Madrid’s Prado in Spain that some of their prized Bosch’s are not actually in the artist’s own hand but likely by workers in his studio (or even painted in his style posthumously) is similar to telling a Mother her baby girl is ugly – then asking to borrow her for a while.